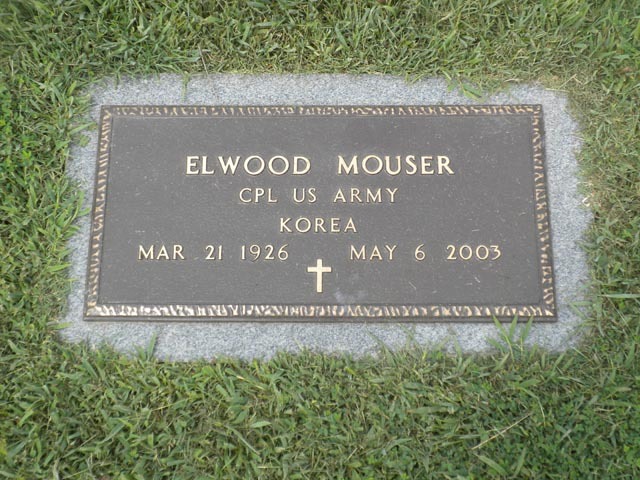 Elwood Mouser, 77, of Marble Hill died Tuesday, May 6, 2003, at his home, following an illness. He was born March 21, 1926, near Hahn, Mo., son of Hobert and Rosetta Davis Mouser. He and Virginia Lee Steward were married April 17, 1954, at Zalma, Mo. 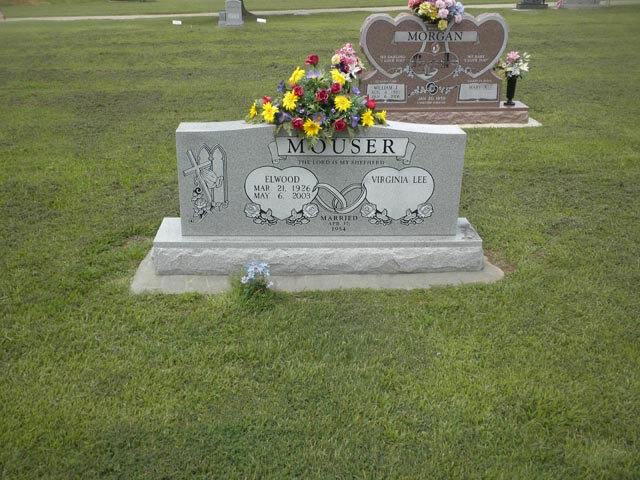 Mouser served as Bollinger County commissioner from Jan. 1, 1991, to Dec. 31, 1998. He was a member of VFW Post 5900 in Marble Hill, and of Palmore Baptist Church where he was Sunday School teacher and superintendent. He was a veteran of the Korean War. Survivors include his wife; a son, David Mouser of Marble Hill; three daughters, Sharon (Don) Dinkins of Whitewater, Sheila Cookemboo and Gwendolyn Mouser of Marble Hill; a brother, Doyle Mouser of Cape Girardeau; and six grandchildren. He was preceded in death by his parents and four brothers. The funeral will be at 11 a.m. today at Liley Funeral Home in Marble Hill. The Rev. Bob Porter and the Rev. Lloyd Green will officiate. Burial will be in Bollinger County Memorial Park Cemetery, with full military honors by VFW Post 5900 and uniformed personnel from the military.